Who doesn’t love suicidal rocket-riding goblins? Click for higher-res version. It’s from Relic’s Space Marine. 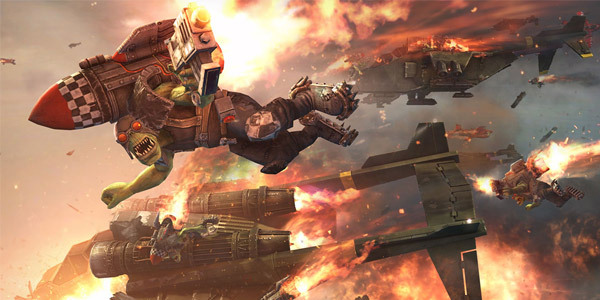 This entry was posted in Random and tagged ... of the week, space marine. Bookmark the permalink.